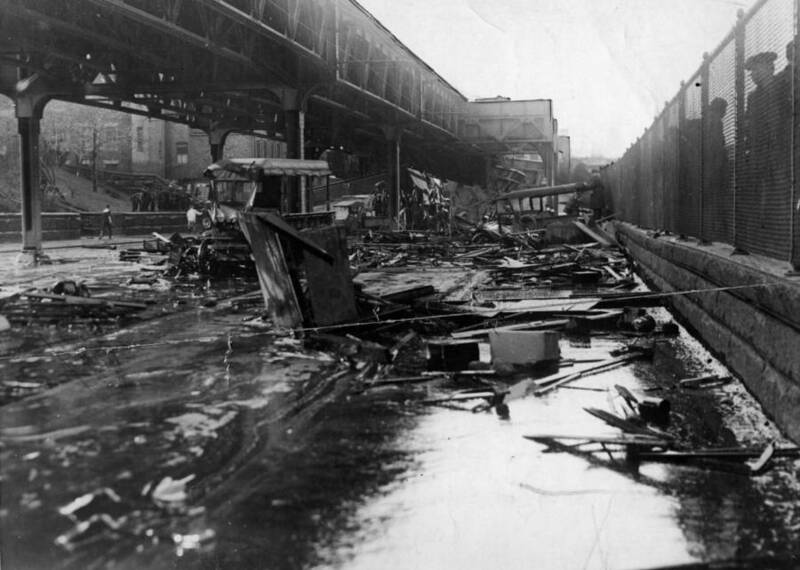 The chaotic aftermath of the Boston molasses disaster. How one company cut corners, got greedy, and caused the deadly Boston molasses disaster that brought the city to its knees. Navy personnel and firefighters rush to the scene. Onlookers stand near the tank 30 minutes after the explosion. 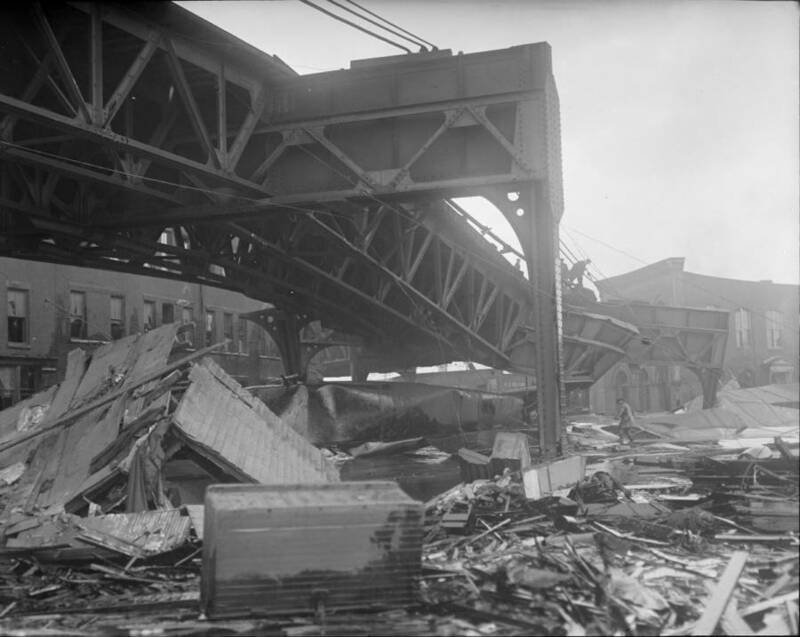 Atlantic Avenue railway tracks over Commercial Street twisted by the force of the flood. Ever heard the saying "slower than molasses"? Turns out it's not true. 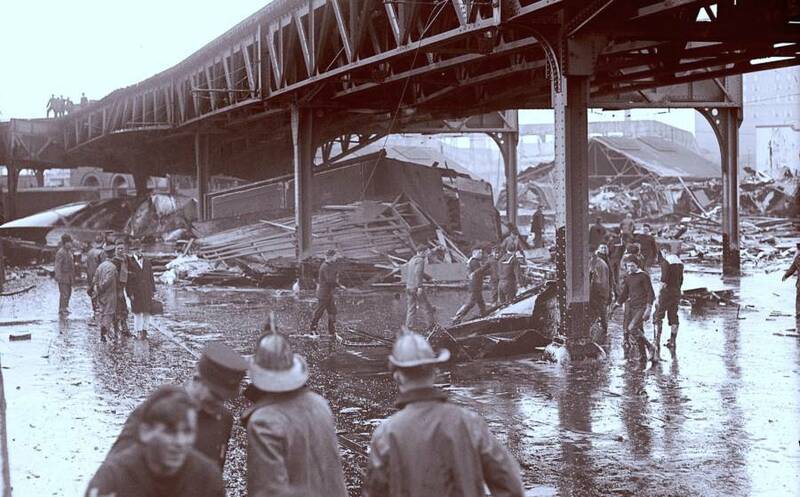 Molasses can move pretty fast — a fact Boston residents learned the hard way nearly a century ago. 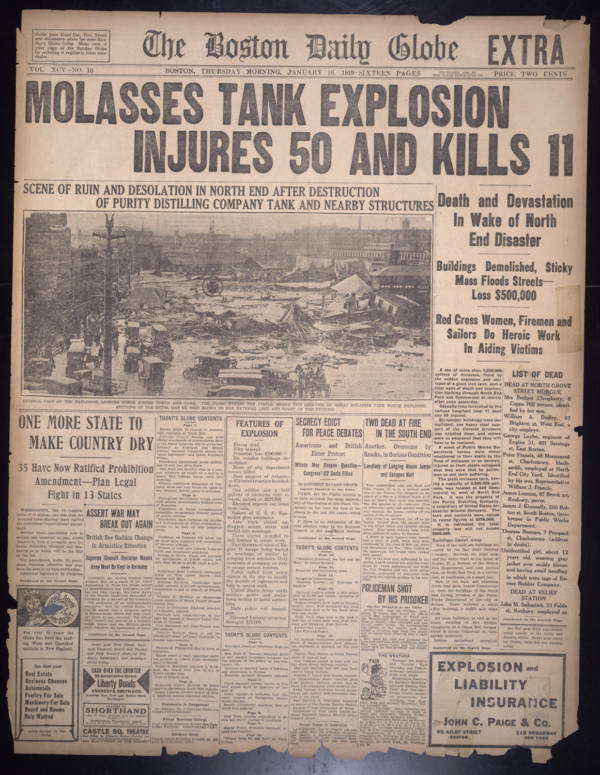 Just after 12:30 p.m. on January 15, 1919, a Purity Distilling Company molasses storage tank exploded in the North End. As many as 2.3 million gallons of molasses spilled out. 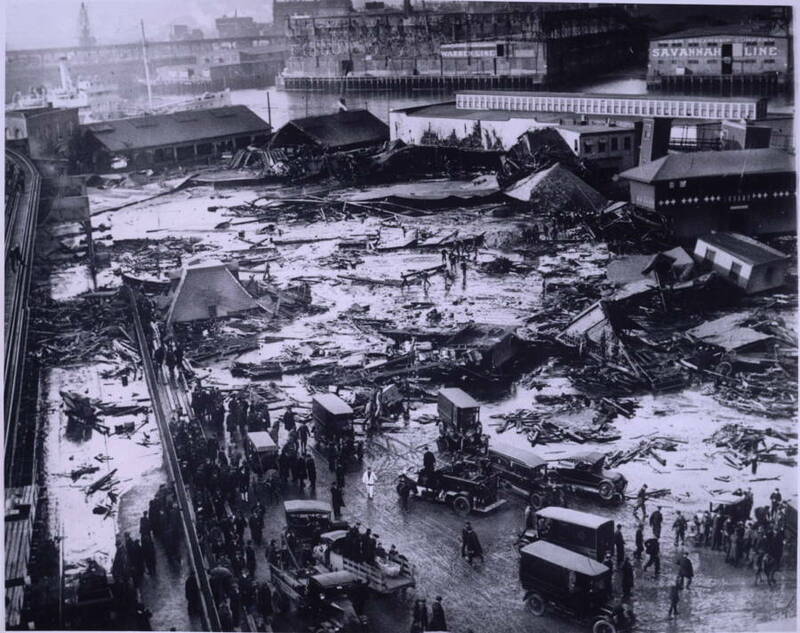 The resulting deluge, known as the Boston molasses disaster, reached some 25 feet high at its peak. It swept across Commercial Street at as much as 35 miles per hour. Buildings leveled by the flood. Wrecked cars and debris lay strewn beneath the elevated railway. 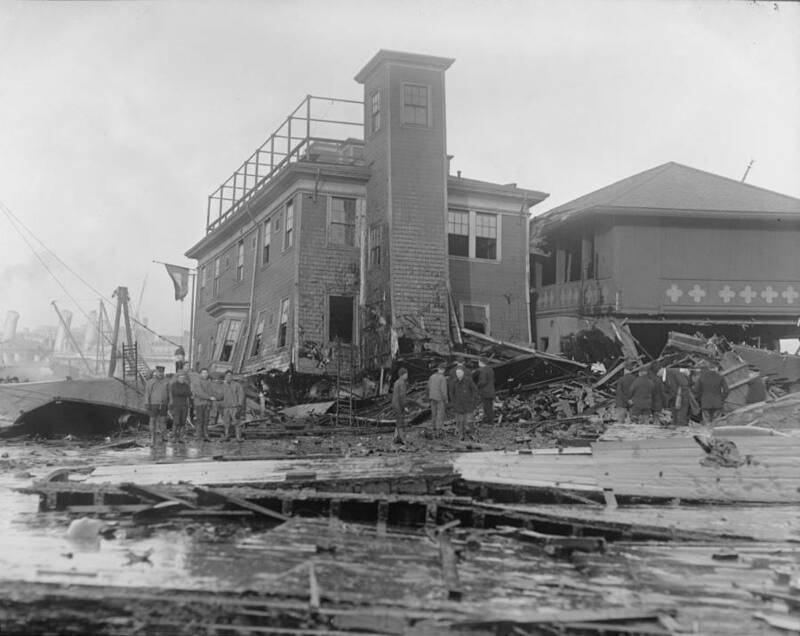 Firehouse 31, ripped from its foundation by the flood. 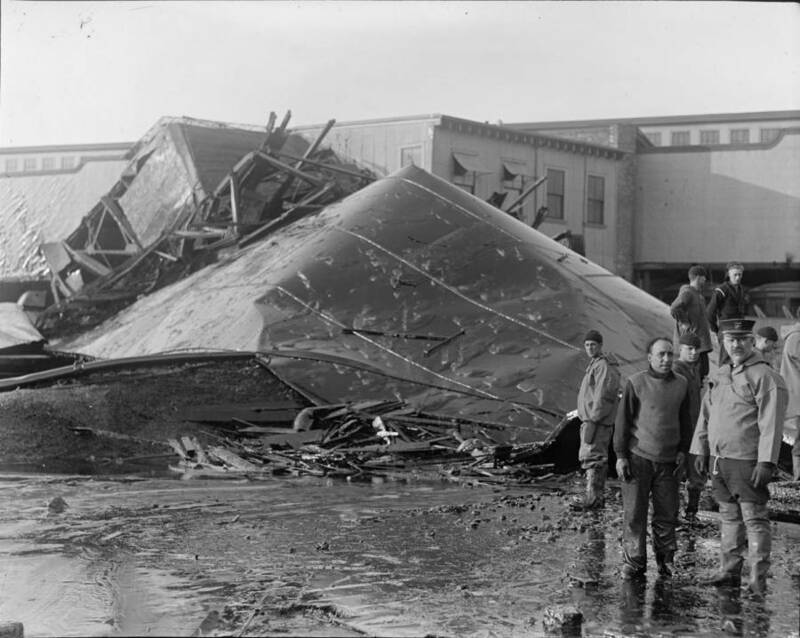 A man surveys the damage caused by the molasses flood. The disaster makes top story the following day, superseding news of the latest U.S. state to ratify prohibition. The death toll eventually rose to 21. Rescue workers, knee-high in molasses, struggle to free trapped victims. The wave spread out across a two block radius. It flattened offices and homes, and lifted a firehouse off of its foundation. It swept away vehicles and horse-drawn carriages. 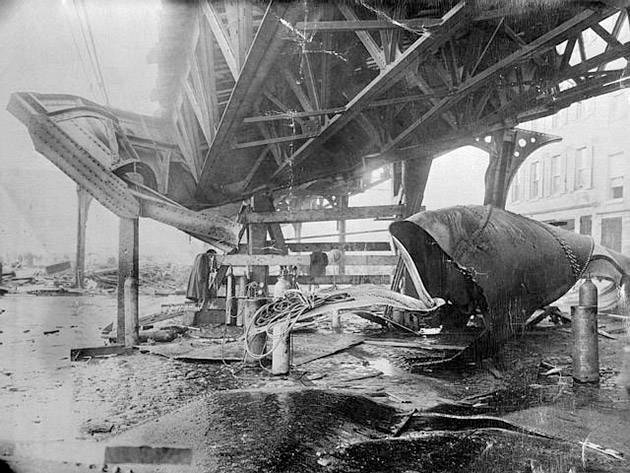 The molasses even moved with enough force to warp the girders of the Atlantic Avenue Elevated train tracks. Those who found themselves in the flood's path were carried away, crushed, or drowned. To make matters worse, the molasses thickened once exposed to the winter air. After the wave subsided, scores of people lay entombed beneath a substance thousands of times more viscous than water. 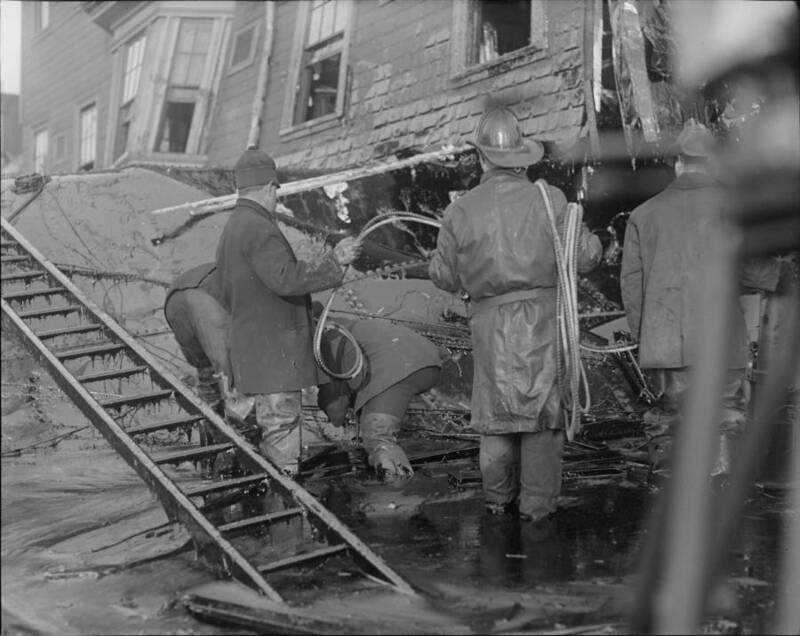 First responders to the scene had to wade through feet of molasses to search for survivors. 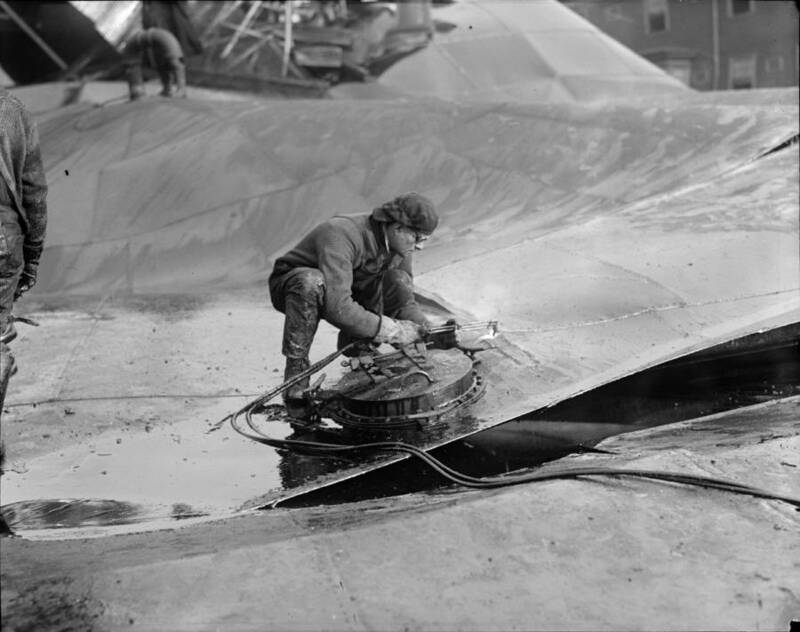 A welder works to cut the tank in search of bodies. The Red Cross, Firefighters, and Army and Navy personnel rush to the scene. 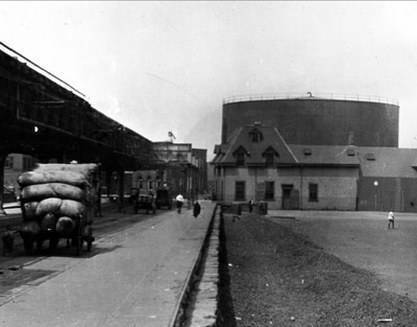 Prior to the disaster, the molasses tank (right) towered over the other buildings in the area. 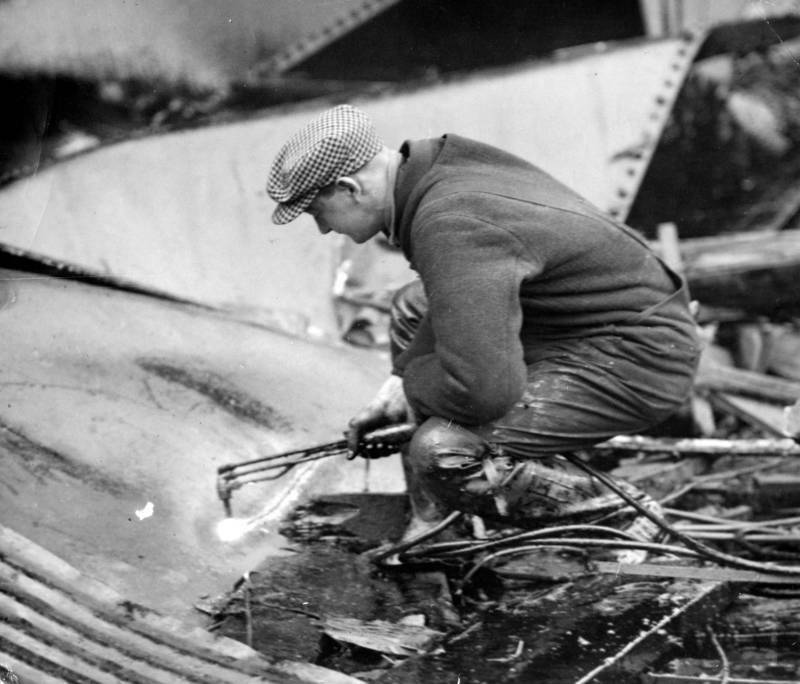 A worker uses an acetylene torch to cut through a section of the ruptured tank. Debris lay strewn beneath the elevated tracks. Over the next four days, Red Cross workers, police, firefighters, as well as army and navy personnel combed through the rubble. 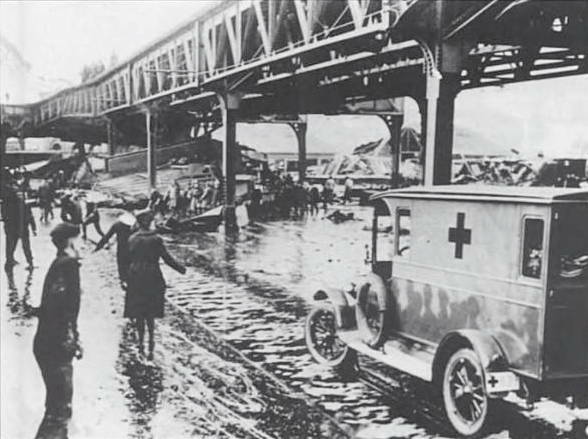 All told, the Boston molasses disaster left 21 dead and injured 150 while causing over $7 million in property damage (which would equal more than $100 million today). The owners of Purity Distilling, the United States Industrial Alcohol Company (USIA), claimed that anarchists had blown up the tank in protest. Residents, however, had reported that the tank had leaked since its construction. A series of civil suits followed. 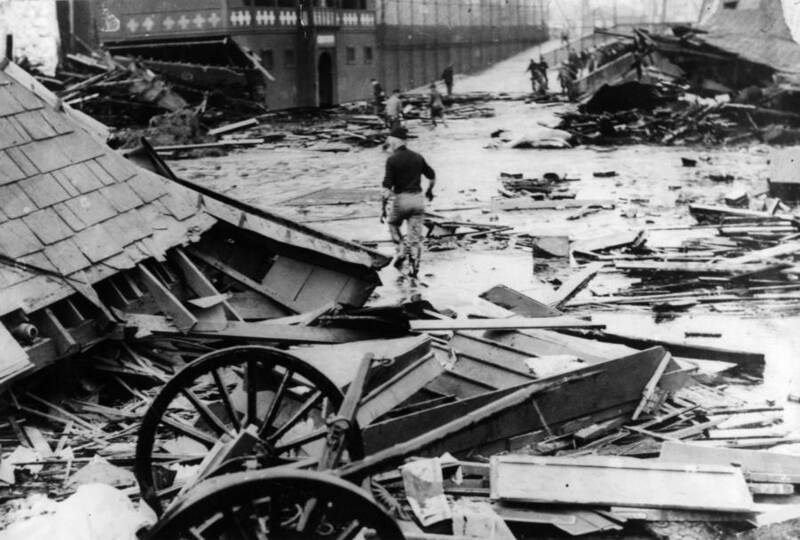 In reality, a few different factors contributed to the initial blast behind the Boston molasses disaster. Shoddy construction, lax safety testing, and years of repeated over-filling left the tank weakened. This became dangerous when combined with molasses' natural propensity to ferment and produce ethanol. 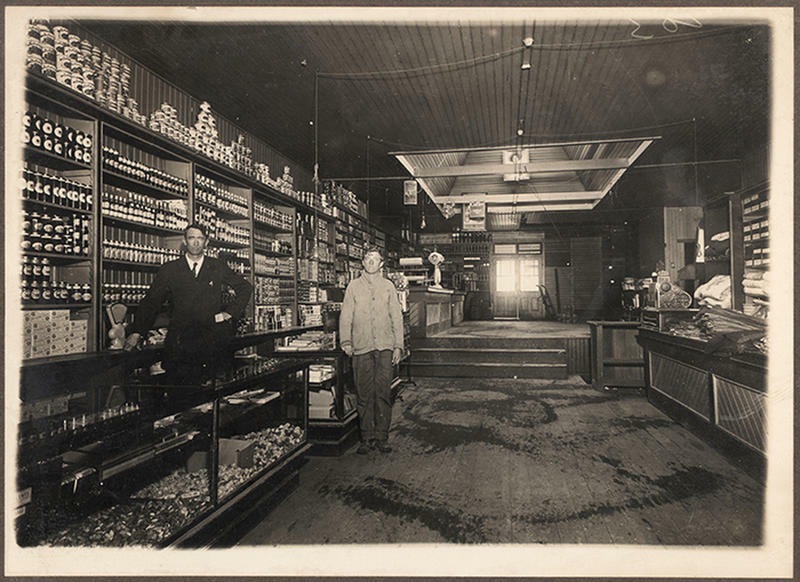 In fact, Purity Distilling counted on this happening because they sold off that ethanol, which was, for one, was an essential component in munitions manufacturing. 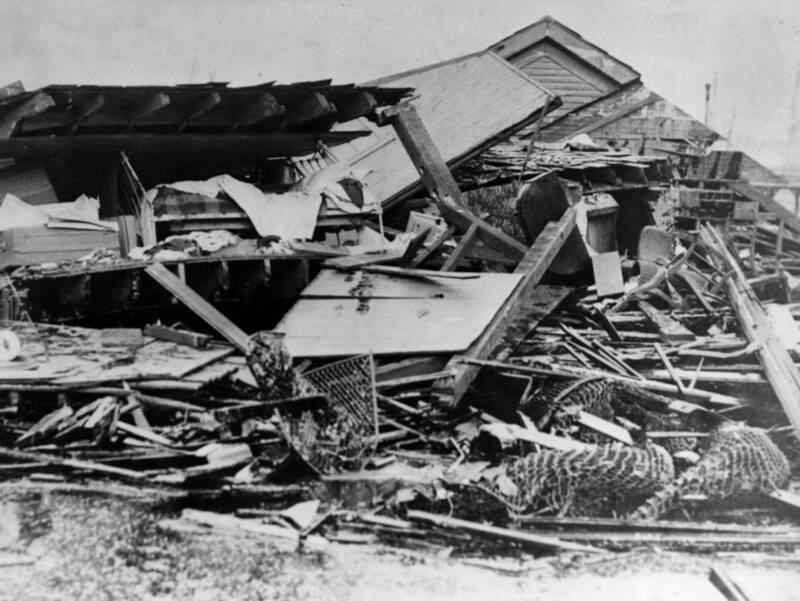 But more so than that ethanol, it was carbon dioxide, another fermentation byproduct, that played a pivotal role in the Boston molasses disaster, along with unseasonable weather. A few warm winter days (by Boston standards, anyway) sped up fermentation and boosted the amount of carbon dioxide in the tank. As the internal pressure grew, it pushed the already fragile tank past its breaking point. After three years of hearings, USIA paid more than $600,000 in out-of-court settlements to the victims and their families (that would be more than $8.4 million today). Now, much of the site of the Boston molasses disaster now rests within Langone Park. The only sign that the disaster ever took place is a commemorative plaque at the park entrance.